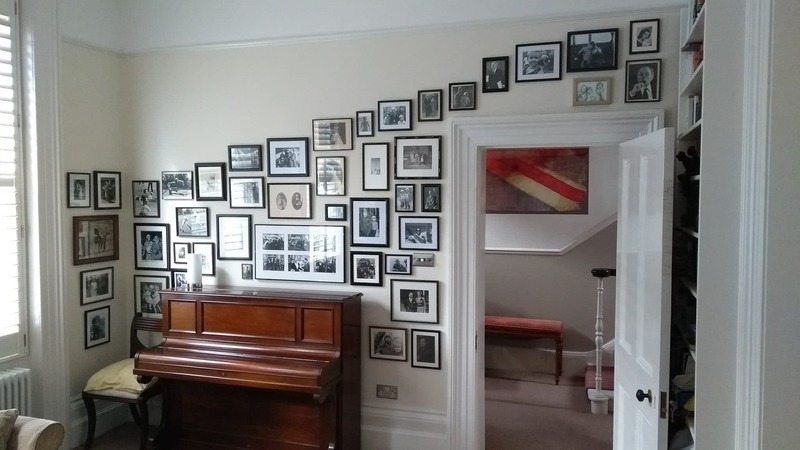 The client had made the wall of photos themselves over many years and it was all a bit wonky. They repainted the wall and asked us to rearrange the photos with the same cascade from right to left but without the wonk! So we did. Boom!